ground that links them all. It may be a moment of exquisite light, a pleasing array of forms and textures, a glance shared between two people on a city street or the glimpse of a rare wild animal. All these fleeting events can be transformed into compelling photographs. For Malcolm Macnaughtan, it is the rapidly changing light on the landscape of the Western Highlands recorded on large format monochrome film, while for Paul Clarke it is images that tell stories of everyday urban life. Lisa Bukalders’ photographs come from her wildlife encounters, both at home and abroad. “For me it’s all about being there, being immersed in nature, and being able to capture more than just a likeness, but also the mood, character and spirit of the animals,” she says. John Tilsley often draws his inspiration from northern light – Finland or the depths of a Norfolk winter. Alongside his passion for landscape, he is documenting the work of heritage railway volunteers. Andy White shares John’s fascination with the seashore and with landscape, whether close to his West Dorset home or further afield. For Ian Chapman, it is often small details that offer the most creative possibilities. Whether in the countryside, or in churches, museums or domestic interiors, these close encounters frequently reveal facets that paint the subject in a fresh light. 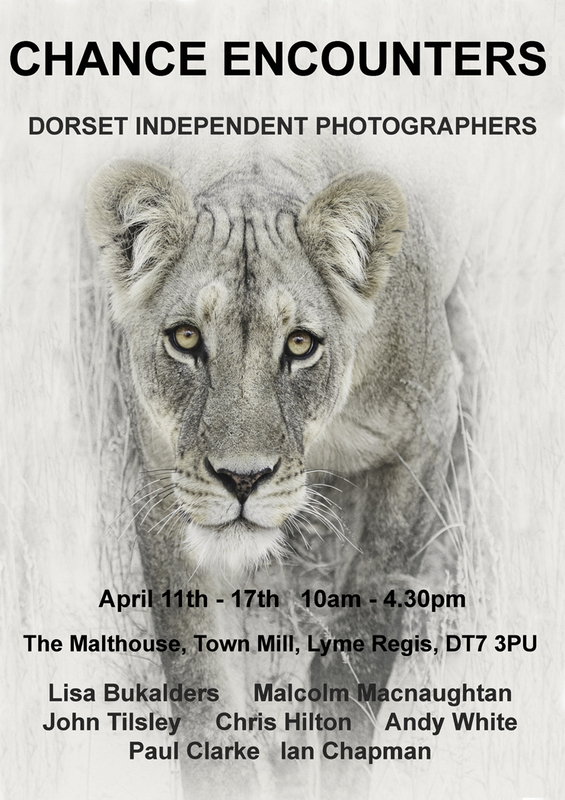 Dorset Independent Photographers came into being in 1988 as a result of an inspiring weekend workshop in Dorchester led by Fay Godwin, a seminal figure in 20th century British landscape photography. Members, who are mostly based in West Dorset, have come and gone since that weekend, but the group has been meeting regularly in each other’s homes to share work ever since. The group has also exhibited widely in the region, including at the Town Mill last year. Photographic styles may have evolved since the 1980s, but Dorset Independent Photographers has remained a constant presence in the region’s visual arts scene. The secret of its staying power has been its informality, its members’ willingness to share work in progress and to exchange honest but constructive criticism.